Nothing beats the ambience of a campfire in the African bush. 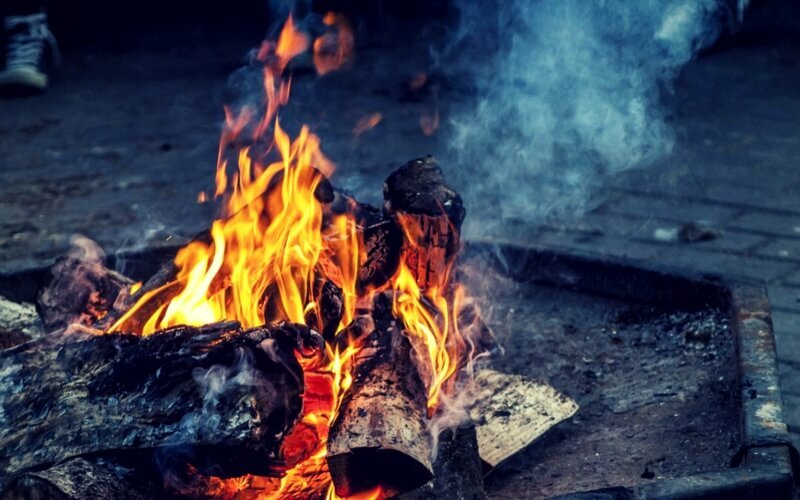 A real treat when out camping is the campfire, the smoke and the lighting shared with a good meal are one of the pleasures we can enjoy virtually all year round. It’s always best to get the fire started before it gets dark –generally as you set up camp,the guys may be fiddling on things and having a few beers but bring them back to focus mode and get the fire going.Hopefully wood would have been collected or preferably bought and you would have kindling or firelighters available to get the fire going.Here are a few tips to ensure success. Location is critical,do not build your fire under the dripline of a tree,smoke will not disperse and the heat will damage the trees roots, at this point apply a good bit of commom sense. Build the fire away from tents,buildings or cars.Clear the ground of flamable matter if there is no dedicated fire area in the camp. Stack the fire in a way that it will not extinguish itself as it burns down,keep a quantity of smaller wood aside to add to the fire as it burns through the evening.The base neeeds to be stable,stack your wood to allow for air and use the lighter kindling as well.generally pack in a criss cross fashion. Whatever method you choose the base of the fire needs to be stable enough to support the timber you will add until the fire takes,firestarters work well but they do smell,I use old wine corks soaked in methylated spirits which I keep in a bottle. Slowly add twigs,light kindly and bigger pieces of wood in the criss cross pattern to allow good airflow,do not add too much wood as you can smother the flame.One could take a portable fire pit but those are better at home and do take up space.If you use the fire for cooking,heating or even light it does add a special sort of ambience to a camp,the stars,smoky smell and a good glass of wine are indeed the way to end the day in the African bush.Remember to keep the little one’s away from the flames and have burn gel handy, as well as a fire extinguisher.